Here’s how a certain scam works that’s been offered to people in Darien, as described by a town police announcement on Thursday. The Darien Police Department would like to inform the public about a mail-scam that has been occurring in town. 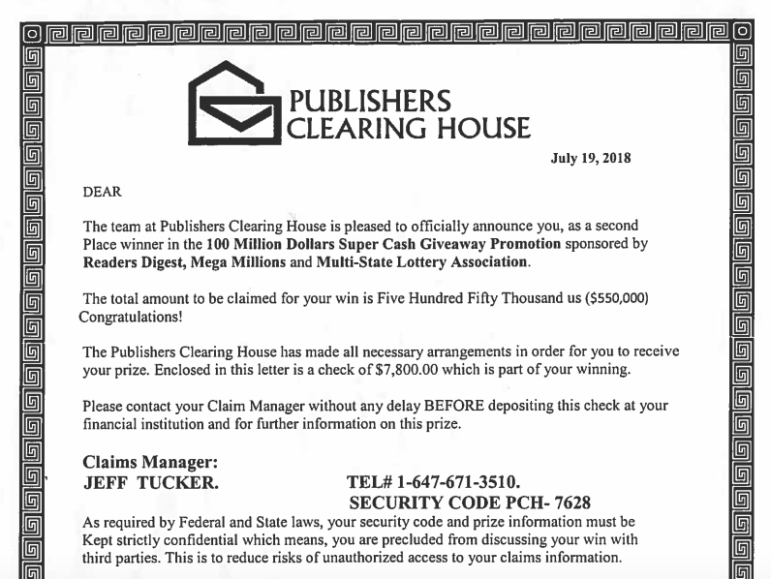 The potential victim is sent what appears to be documentation that they have won a substantial amount of money in the “Publishers Clearing House” sweepstakes. 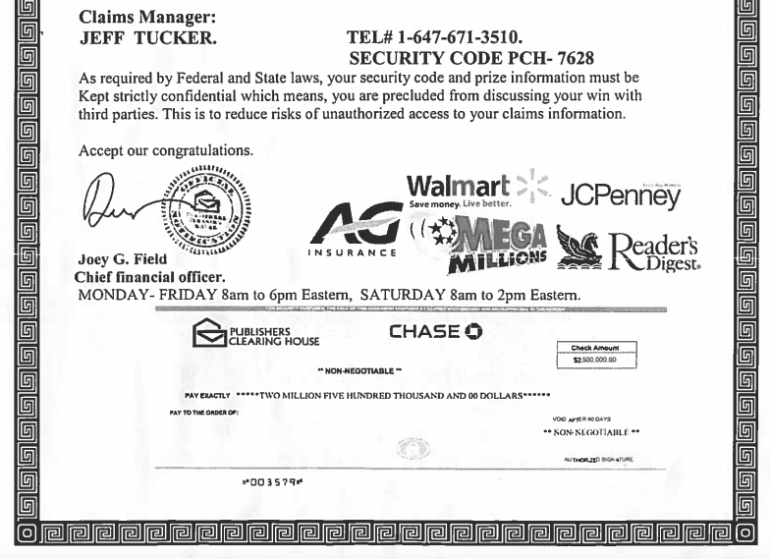 A check is included, and the recipient is instructed to contact the “claim manager” prior to cashing the check and warned not to contact anyone in regards to the prize. The amount the check is made out for is substantially higher than the amount the recipients are supposed to have won. The Darien Police Department wishes to remind people that this “overpayment/refund” scam continues to take varying forms. Should anyone encounter a situation where they have been told they were overpaid for something and are being requested to send money in return, please consider the possibility that the process is part of a scam. As always, contact the Darien Police Department with any questions or if you are suspicious of a communication you’ve received. If you accept a check from someone you don't know, don't use part of the proceeds to send money back to the stranger. No matter what the circumstances.